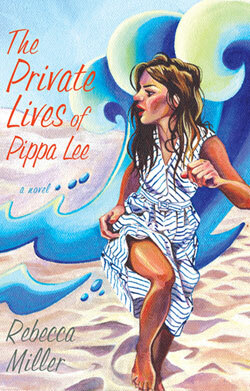 The Private Lives of Pippa Lee By Rebecca Miller Pippa Lee is a 50 year old woman living with her husband, Herb, in an adult community called Marigold Village. Her husband, the love of her life is 80 years old and they have liquidated their two huge homes and downsized to live a smaller, simpler life for Herbs semi retirement from the publishing world. Pippa feels like they are at deaths door, she begins worrying incessantly and sleep walking. Herb is acting strangely. Her children are worried about them. Entwined with small flashbacks from Pippa's erratic childhood and very wild early adult life, Pippa Lee is a character you have never met. Fun, quick read. When does life really begin and when does it end. Does your career and money really define your place or does age. It is all relative. Highly recommend this read. 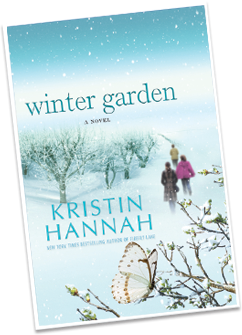 Winter Garden By Kristin Hannah Meredith Whitson runs her fathers apple orchard, Nina Whitson, her younger sister is a world renowned photo journalist. Their relationship has been close but tricky, their memories are loving and strong but their differences hold old resentments. Anya, their beautiful Russian mother has held her past and her secrets far from her girls. She has never been open and honest or loving. Until the day Nina pushes hard enough to force Anya to tell her story. And so begins their journey of understanding their mothers life, of the truth in the fairytale that they were always told at bedtime. Leningrad during WWII, the darkness, the cold and the death that many did not survive. 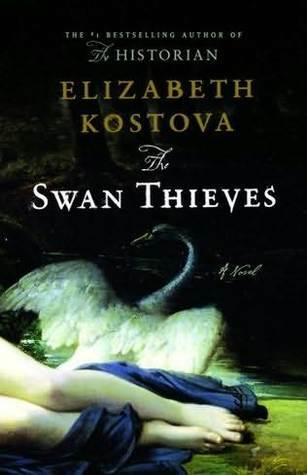 The story of the sisters and a mysterious mother is too predictable. The writing is elementary and often filled with cliches. The Russian chapters more interesting and better written. I had to force myself to finish. Dreams of Joy By Lisa See 19 years after we fell in love with the Shanghai girls we read about Joy, a young woman at the University of Chicago. Joy's mother Pearl and her auntie May are still living the American dream in California. But Joy is disenchanted with her freedoms. She does not value the independence and opportunites that await her young adult life. 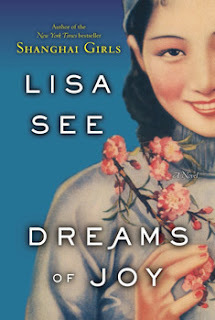 Instead, Joy dreams of China, and the ideals that she have been convinced are equality, simple communal living and a Shanghai that her mother and aunt grew up in that no longer exists. So begins the adventure and unfolding drama of her and her mothers journey to find the truth and happiness they both have long desired. Many sequels do not live up to the original story but in the case of Dreams of Joy, I enjoyed it even more. Definitely recommend this read. 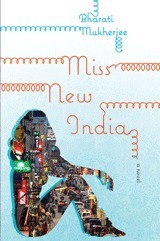 Miss New India By Bharati Mukherjee Fictional heroine Anjalie Bose is a middle class girl, living with her parents in a small apartment in a small town in India. Her mentor, an American teacher named Peter Champion sees possibility in Anjalie that noone else can see. Her father is desperately trying to match her with an appropriate husband, basing his decision on class, family background, future work prospects and most certainly not love! After a brutally failed attempt Anjalie, calling herself Angie, runs away to Bangalore. Even though this will destroy her parents, she knows that with her English language skills and the support of Peter she must at least try to succeed to a higher level position outside of her small town. Pretty, smart, English speaking girls have very good opportunity of work in the growing, ever changing cities with call centers, hosting companies from around the world. The family dynamics of her parents desperately holding onto tradition and Angie's burning desire to see the world lead her on an adventure to change her life. Enjoyable, easy read, very detailed world of the west invading Indian culture and a young adult finding true destiny.